January 5, 1982 The 549 foot Japanese trawler Akebono Maru No 28 capsized and sank 120 miles north of Adak with the loss of 32 crewmembers. May 22, 1982 Richard T Hinds was lost off of the Camelot when the 34 foot vessel grounded and capsized 25 miles SW of Cordova on Hinchinbrook Island. May 22, 1982 One person was lost when the 30 foot fishing vessel Nasty Habit rolled over and sank in heavy weather near Hinchinbrook Island. June 1, 1982 An unnamed wooden skiff capsized when a person on board stood up and one person was lost at the northwest corner of Annette Island. June 3, 1982 Three people went missing when an unnamed small fishing vessel capsized five miles west of Newhalen. June 25, 1982 Christopher Sharp Jr. was lost from a fishing vessel near Twin Hills. His body was recovered near Togiak. June 30, 1982 George Dwight Buell (35) was lost from the fishing vessel Miss Demptha near Ekok. July 3, 1982 The cabin cruiser Miserable Skunk capsized while pulling a crab pot five miles east of Homer in Cook Inlet. Grant Chapel (74) of Apache, Arizona and Martha E Hall (74) of Eagle River were lost. July 13, 1982 An unnamed skiff overturned in the Nushagak River near Dillingham with three people on board. Two were lost and one survived. July 16, 1982 Bill James was lost in a skiff accident in Duck Bay. July 30, 1982 U S Coast Guard C-130 crashed at Attu Island killing AT3 Brad Confield and SN Steven C Berryhill. August 4, 1982 Three people were lost when a 16 foot unnamed small boat went missing near Juneau. September 7, 1982 The crew of the 58 foot Investor was found murdered with gunshot wounds and the vessel burned to the waterline anchored at Egg Island near Craig. Lost were Mark and Irene Coulthurst, both 28, their 5 year old daughter Kimberly, their 4 year old son John, Deane Moon (19) of Blaine WA, Jerome Keown (18) of Blaine WA, Michael Steward (19) of Bellingham WA and Chris Heyman (18) of San Raphael CA. September 10, 1982 One female passenger was lost from the cruise ship Majestic Explorer in a lifeboat deployment accident south of Juneau in Frederick Sound. September 16, 1982 The 42 foot gillnet fishing vessel Barbie Island broke apart in the surf and sank on the area of Sudden Stream northwest of Yakutat. Two of her four crewmembers were lost. September 28, 1982 Four people were lost when an unnamed 24 foot river boat foundered a mile north of Anchor Point in Cook Inlet. 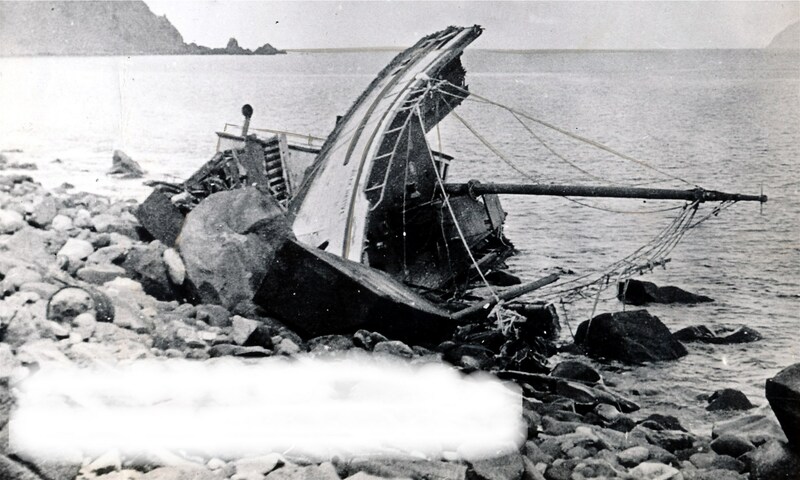 October 20, 1982 One person was lost when the 312 foot Korean trawler Pung Yang Ho burned south of the Shumagin Islands. December 14, 1982 An unnamed skiff was lost with three people on board near Tenakee Beach. December 30, 1982 The crab fishing vessel Dawn was found idling with no one on board five miles from the Homer Spit in Kachemak Bay. The skipper was presumed drowned. I AM TRYING TO FIND SOME DETAILS ABOUT THE LOSS FO THE FISHING BOAT, BARBIE ISALAND ON SEPTEMBER 16, 1982. I UNDERSTAND THERE WAS A NEWSPAPER ARTICLE ABOUT IT IN THE ANCHORAGE TIMES. DO YOU HAVE ANY DETAILS OF THIS? I subscribe to a couple news services and will search them. I don’t think the Anchorage Times is available for digital searches yet.